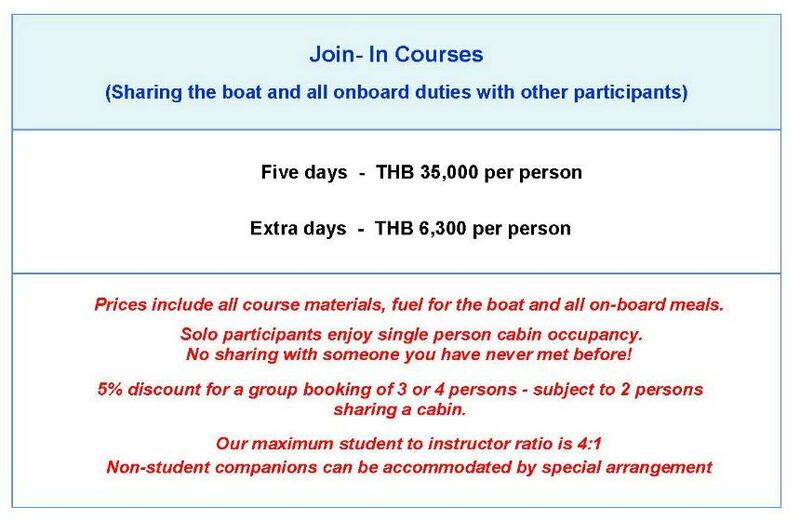 Prices include VAT, all you need for the course, fins and masks for snorkelling, fuel for the boat and all meals, water and soft drinks on-board. Your only other expenditure is your onshore travel and accommodation expense, National Park entry fees (if applied) and any other purchases you may wish to make e.g. 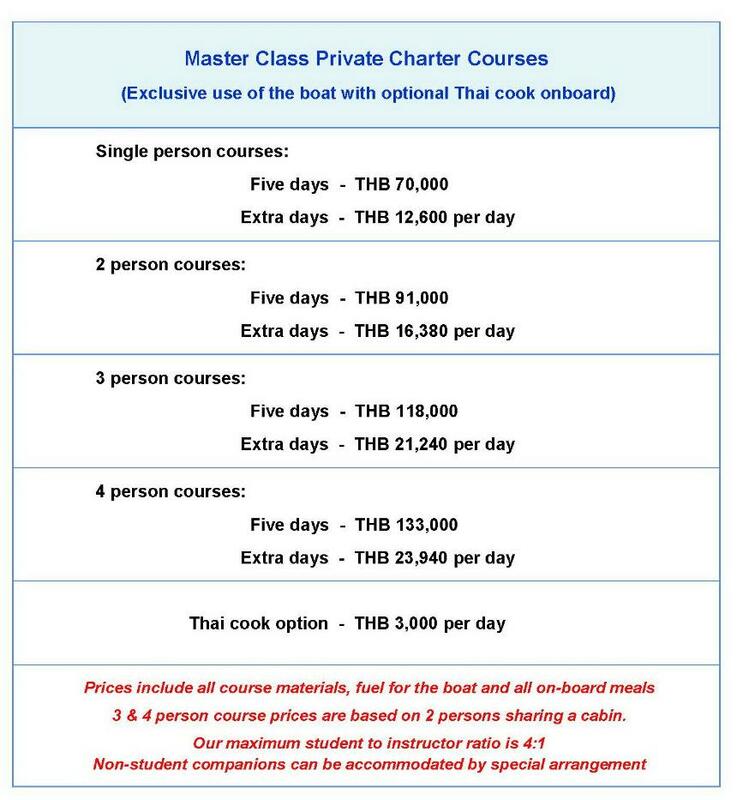 fresh seafood from local longtail boats and any alcoholic drinks or other items purchased on-board or ashore.